(or Insurance Trust) a Month? How About One More a Week? That may very well be true for you… unless you know the 22 other “overlooked” uses of life insurance! Because once you do, one more big sale or ILIT a month, or even a week, is entirely possible - - and we can show you how! How to identify opportunities for the proper use of life insurance that you - - and your competitors - - have missed! How to explain these planning opportunities to clients and prospects - - as well as other advisors who may refer business to you - - in plain English that they will understand and will motivate them to do business! How to overcome the 3 most difficult objections to life insurance! How to overcome the single biggest objection to an ILIT! Whether you’re a life insurance agent, financial advisor or estate planning attorney, you’ll benefit from this 90-minute presentation with Philip Kavesh, entitled, “The 22 Overlooked Uses of Life Insurance (and ILITs).” Mr. Kavesh recently gave this same presentation before a packed room of life insurance agents, financial advisors and estate planning professionals, and received an average rating of 9.7 out of 10! Your potential “ROI” (return on investment) will be mind-blowing… because just one more insurance sale or ILIT engagement will way more than make up the cost of this teleconference. Includes: Immediately downloadable handout materials and MP3 audio recording. Philip J. Kavesh is a nationally recognized attorney, authority, speaker, educator and technical innovator in estate planning. Phil has earned significant recognition and accolades over his approximately 33 years of practice as an estate planning attorney. Phil holds a Master’s Degree (LL.M.) in Tax Law and is a California State Bar Certified Specialist in Estate Planning, Trust and Probate Law. He also has been awarded the Certified Financial Planner and Chartered Financial Consultant designations. Phil has served his fellow estate planning and financial professionals by teaching in the Golden Gate University Graduate Tax Degree and Certified Financial Planner programs. Phil was also selected by his peers and served on their behalf as the California Legislative Liaison for the International Association of Financial Planners and has represented the estate planning attorney community in testifying before State legislative committees seeking to regulate the estate and financial planning professions and to eliminate “trust mills”. In fact, several of the practice forms and client disclosure pieces created by Phil have been incorporated into new legislation and regulations. Furthermore, Phil was one of three attorney co-founders of the American Academy of Estate Planning Attorneys. He has also been an honorary member of the National Network of Estate Planning Attorneys and is an active member of WealthCounsel. Phil has been recognized and quoted as an estate and tax planning authority in numerous national, prestigious publications, including Money Magazine, Investors Daily, Personal Finance Magazine, Los Angeles Times, Los Angeles Business Journal, Consumer Reports Magazine, Journal of Retirement Planning, Ed Slott’s IRA Newsletter, Investment Advisor Magazine, Life Insurance Selling, and PacQuarterly. He has appeared on several television and radio programs and his weekly TV show, “Preserve Your Estate”, was broadcasted on local Los Angeles TV for over six years. Additionally, Phil has created or co-created numerous technical advances in estate planning, including the Personal Asset TrustSM and the IRA Inheritance Trust®. His unique legal documents have been licensed to hundreds of attorneys all across the country, through his company, The Ultimate Estate Planner, Inc. He has also authored or co-authored several outstanding consumer publications including “The Ten Biggest Mistakes People Make When Setting Up a Living Trust”, “The Top Ten Estate Planning Mistakes Wealthy People Make”, and “21st Century Wealth”. Even more impressive are Phil’s accomplishments as a speaker and educator of the public and his professional peers. 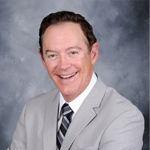 Phil has personally presented over 2,000 seminars on estate, tax and financial planning to the general public, to various major corporations and their employees, and to CPAs, financial planners and attorneys. His renowned seminars have been duplicated and sold to thousands of estate planning professionals and financial advisors in the U.S. and Canada. Phil has devoted substantial efforts to improving the standards in the estate planning and financial planning industries by personally training over 4,000 attorneys and financial planners. The Ultimate Estate Planner, Inc. and the presenter are not registered Continuing Education Sponsors and this program is not pre-approved for continuing education credit for any state or regulatory agency. However, please note that each program includes a Certificate of Completion and, depending on the license and the regulatory agency for which governs a participant’s CE credit, some professionals may be able to self-report his or her participation and receive credit. It is the responsibility of the participant to complete any process necessary to seek self-reported CE credit for his or her participation. By registering for a teleconference (or purchasing on On-Demand program), you understand that CE credit is not guaranteed or warranted by the presenter or The Ultimate Estate Planner, Inc.
Any teleconferences that have already been broadcasted become a part of our On-Demand Library. This gives you 24/7 access to the handout materials and audio recording to any of our past programs. "Estate Planning for the Modern Blended Family"
Not finding what you’re looking for? No problem! It’s our goal to try and accommodate the needs of those that we serve. Drop us a quick note below and let us know what it is that you’re looking for. If we don’t have a topic like this, we will see what we can do to accommodate your request. Someone from our team will be touch with you shortly about your inquiry and thank you, in advance, for helping us help you! We are always looking to add new speakers and topics to our teleconference calendar. If you are an estate planning professional that would like to be considered for a speaking opportunity with us, please send us your information below. Let us know what topic you would like to speak on and any prior experience you may have speaking your professional peers. Someone from our team will be touch with you shortly about your inquiry and thank you, in advance, for your interest in working with us!